This is the second in a series of interviews with a number of our users that will share their story. If you are interested in being profiled, let us know. We would love to hear from you! In this post, we feature Tomislav Prijanovič, from the Slovenian National Forensics Lab. We have known each other since 2006 where we happened to be in the same hotel for the ENFSI Digital Imaging Working Group meeting in Rome. He’s actually one of our first customers and, given the proximity between Trieste and Ljubljana – little more than one hour by car – we meet at least once per year to exchange ideas and share interesting cases. I must say that quite often he amazes me with his skills. Many times, he is able to get incredible results on license plates that at a first glance I deemed impossible. Tomislav, tell us a bit about yourself. What is your background and your current role at the National Forensics Laboratory? I am a forensic expert and court witness, working in the Physics Examination Department at the National Forensics Laboratory in Ljubljana, since 1990. What made you decide to enter the forensics field? After finishing technical school for electronics, I started working as a video technician. I basically worked on video documentation (video recording and editing) for police purposes, capturing and analyzing images from CCTV. At that time I also had the opportunity to do some work related to photography, like darkroom photography and working as a minilab operator. Due to the rapid development of digital technology (cameras, computer hardware, and software), we started to look for new technical solutions to make our work more effective (less time consuming and higher quality results). After digital cameras and digital video editing systems, getting forensic software was just a matter of time… and money. What would you say are the biggest challenges with multimedia digital evidence and investigating crimes? The biggest challenge about multimedia digital evidence is getting optimal results to help orient investigators on the way to solve a case. In your opinion, how important is it that digital forensic techniques and tools are based on the scientific method? It is very important that digital forensic techniques and tools are based on the scientific method. And I know that Amped Software products are based on scientific methods. Do you think it is important that forensic image and video analysts be properly trained? I think that every expert should be properly trained (not only image and video analysts). If someone starts practicing a sport or learns to drive a car without support or the help of an expert, he will most likely do it the wrong way. A trainer can provide direction and understanding, and teach you how to use tools in an optimal way and maybe even a faster way. How did you learn to use Amped Software products? I learned by attending a course with Amped trainers and through the samples provided in the course and within the software. I also learned to use the tool with the help of the Amped support team and from working on many cases, including my own test cases. 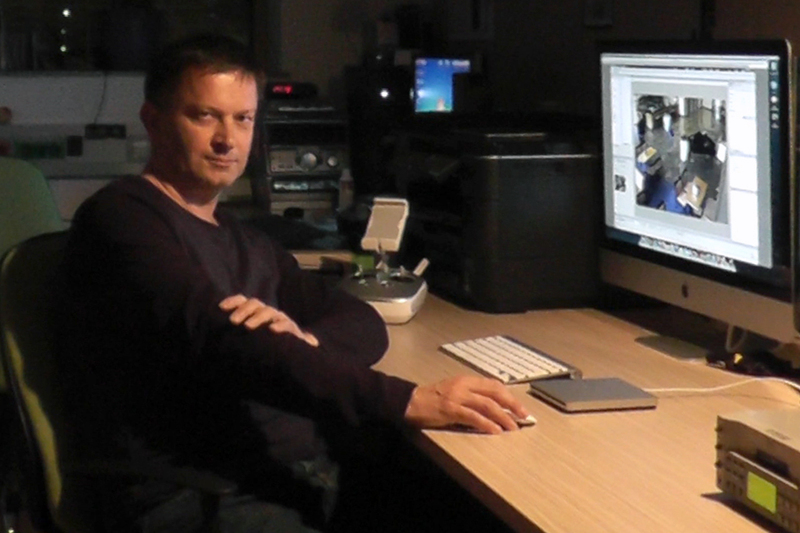 How do you think the world of image and video forensics will change over the next few years? I guess video forensics will follow the development of CCTVs. If we compare the first and latest versions of Amped FIVE, we can see how the software has evolved and I think it will continue to include even more new features and tools. I also think that forensic software will be more “smart” and users will have even more support for their image processing needs. Do you have any interesting story or success case related to Amped Software products? After completing our analysis work we usually don’t get any feedback from the investigators (or the court), except if we explicitly ask for it. In one case, where I had to enhance the license plate of a car and I was able to get a good result, the investigators later asked me if I was helping myself by looking into official records of registered cars. I didn’t have to because I was using an excellent processing tool—Amped FIVE! When you are not busy looking at digital evidence, what do you like doing in your spare time? I like watching sports events and doing some outdoor recreation. My best way for relaxation is listening to music, computer composing and playing guitar. This entry was posted in Announcements, User Interviews on July 12, 2017 by Martino Jerian.